While a certain portion of the cross-platform population has been lusting after the migraine-inducing charms of the Oculus Rift virtual reality headset, the audience will be narrower than some might have expected or wished. Oculus VR, in a blog post today, revealed that its specs would be met only on the Windows platform and on PC hardware, with Mac and Linux development on indefinite hold. “Our development for OS X and Linux has been paused in order to focus on delivering a high quality consumer-level VR experience at launch across hardware, software, and content on Windows. We want to get back to development for OS X and Linux but we don’t have a timeline,” said Atman Binstock, Oculus chief architect and Rift technical director. The following recommended hardware specification “is designed to help developers tackle these challenges and ship great content to all Rift users,” he said. He noted the three key VR graphics challenges: raw rendering costs, real-time performance, and latency. The recommended spec will stay constant over the lifetime of the Rift. As the equivalent-performance hardware becomes less expensive, more users will have systems capable of the full Rift experience. Developers, in turn, can rely on Rift users having these modern machines, allowing them to optimize their game for a known target, simplifying development. The last bullet point is tricky: many discrete GPU laptops have their external video output connected to the integrated GPU and drive the external output via hardware and software mechanisms that can’t support the Rift. Since this isn’t something that can be determined by reading the specs of a laptop, we are working on how to identify the right systems. Note that almost no current laptops have the GPU performance for the recommended spec, though upcoming mobile GPUs may be able to support this level of performance. Despite the ability of Macs to run Windows via the built-in Boot Camp emulator, that still will not compensate for the GPU hardware horsepower required. 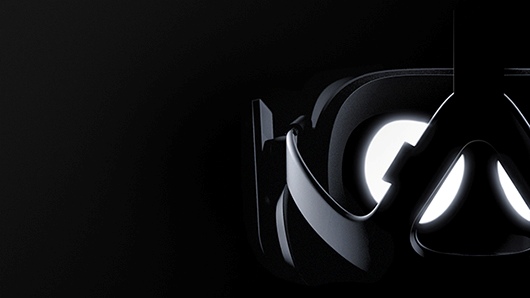 Oculus Rift is scheduled to hit the streets in the first quarter of next year.